I was able to find some spare time this afternoon and in true ham radio spirit I hauled out the MFJ mag loop set it up on the balcony and gave FT8 a go on 20m. Last week I finalized the setup of WSJT-X 2.0 and my rig the Icom 7610. Once all the settings are looked after running WSJT-X with the 7610 is a breeze. 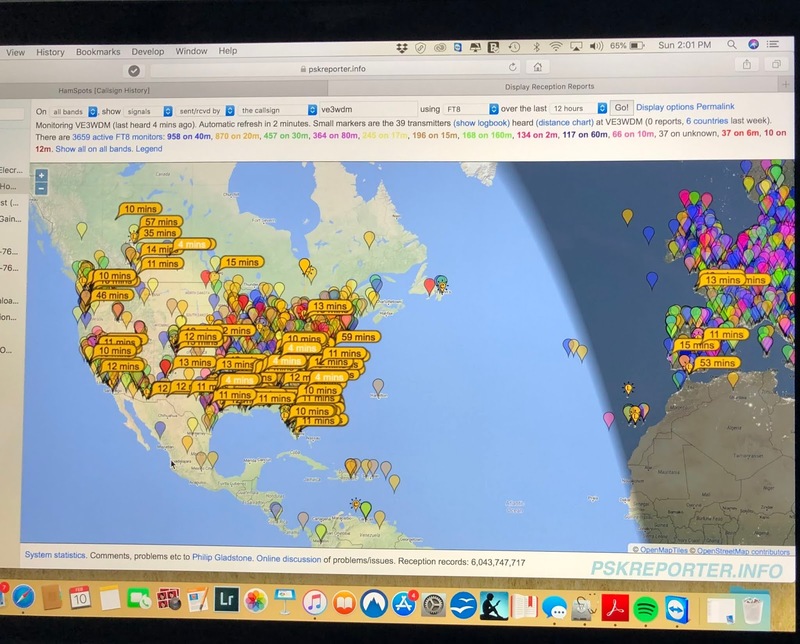 I was spotted all over the U.S. and Canada and even into Europe while on 20m. I did make 3 U.S contacts but only logged 2 as I at first did not have the setting in Reporting "Log Automatically" or "Prompt me to log QSO" Unfortunately my memory is not what I think it to be and I lost the first contact by forgetting to log it. So it was then that I went to Settings-reporting and checked the box "Log automatically" I was excited to see my FT8 signal was heard in France, Spain and Portugal. Over all it was a very relaxing day on the radio! I did remove the tick from the "auto Seq" box as by doing this it did give me somewhat of a feeling of interaction with the QSO. This evening it's going to be a cup of Earl Grey tea and go over the WSJT-X 2.0 manual very closely and see what I can glean from it. Also search out some writeup's on the internet for more tips with this mode. You might want to check out JTDX for ft8. Good afternoon Ray, thanks for stopping by and taking the time to comment. This evening during tea time and relaxation I will certainly do that. Add WSJT-x JT Alert to the mix – there is a huge advantage in adding this excellent companion software, with many additional very useful features. I use DXLabs suite, and this addition autologs to DXKeeper in the DXLabs software, and rig control, etc integrates as well. Good morning Bart very nice to hear from you, I have heard about JT Alert but that’s about it. I will have to take some time and have a look at it. One thing I read was if you have HRD it allows auto logging of contacts. That won’t help me as I don’t use HRD but there may be other useful things for me in the program. 73 and have a good week. Hi again… OK here is my setup for my IC-7300. 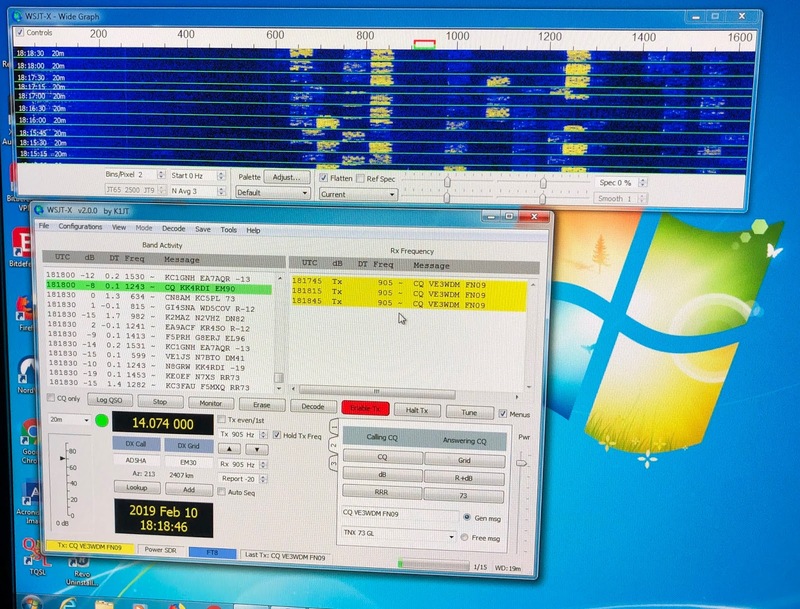 3) In my case I am using 3rd party program autoload, thus I first load WSJT-X-FT8, followed by my logging program Log4OM, then once it is loaded JTAlert. JTAlert has the built in feature of automatic logging, as well as nice features like letting you know what State or country a call sign is being decoded. Plus I have a feature turned on that will be a -b4 after the call sign to let me know I have worked them before… Lots of other features I still not have explored, but well worth doing. Good morning Harry and sorry for the late reply, I too have Dimensions 4 and it works great. I also have Win4Icom suit as well. I also have ( for my Elecraft KX3) Win4k3 suite. It is a great piece of software and is being updated all the time with great features. I do have log40M on my PC but for logging I use AClog. I just found out while surfing the next that JTAlert will also work with AClog and auto log contacts. I have been doing some reading about JTAlert online along with the info that you gave me as well. Seems like a great little program! As for the virtual comports I have a copy of VSPE BUT having said that once I start setting all the programs up to talk to each other a may shoot an email your way if I run into issues. My setup here is only digi and CW no SSB……..not that I am against SSB it’s just I find being in a condo I am more pron to interfering on neighbors electronics with SSB. Have a great weekend Harry and it’s been great talking to you and thanks very much for all the info! Just a reminding, If you are looking for the first QSO information, Try to search for the log file of WSJT-X (Usually named “ALL.txt”) in your PC. 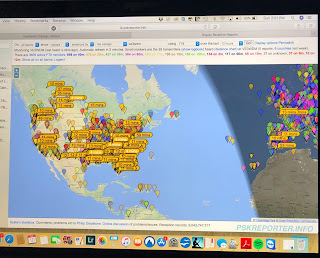 GL & HF with FT8! Thanks very much for the tip….still learning about this new mode (new to me that is ) but have a blast with it.